Journalist and documentary film maker Mohamad Nourizad has written his 12th letter to Supreme Leader Ayatollah Khamenei. In his latest letter he reveals he was threatened by plainclothes thugs to stop him talking. Nourizad was arrested December 20, 2009 for writing and publishing letters critical of Khamenei and the regime’s harsh treatment of the post- election protesters. He was released from prison May 2011. “Sir, just imagine yourself driving on one of Tehran’s streets, then it becomes necessary to put your brakes on and stop the car. Suddenly two men, without your permission, enter your car. One sits in the front seat and the other directly behind you in the back seat. The one sitting in the front seat, about thirty five years old, is wearing sunglasses on a cloudy day and wearing a wool hat. He immediately turns the rearview mirror up so you can’t see the face of the person seating directly behind you. By turning your head, you try to get an idea of what your unwanted guests look like and how old they are. But the 35 year old man seems to know what he is doing, he hits the dashboard hard and says, “look ahead!” The one sitting in the back seat seems to have a higher rank in this “Mission Impossible” and has a deeper voice. It seemed that he was trying to disguise his voice. Nourizad continues in his letter telling Khamenei to forgive him for asking him to put himself in his position and tells him that fortunately he (Khamenei) does not have to ever suffer such frightening shock, for no one would ever dare to treat him in this way. “What could I have said in response? You tell me! Should I have said: Alright, I will? I will zip it, and you don’t bother me and my family? Perhaps then, they would have left my car, and would have left me in shock, with the promise that I gave them. In his letter Nourizad continues to criticize Khamenei for the international isolation, comparing him with Qatar’s ruler. He tells Khamenei that the Emir of Qatar, with such a small land that he rules, is able to travel internationally and is welcomed all around the world. “Once upon a time, we stood up to the United States and chanted slogans: You are proud of your atomic bombs, here, every Iranian is an atomic bomb. And in a declamatory style we would say: A government that places it’s foundation on the hearts of the people is indestructible. “From the inception of the Revolution, particularly from the start of your Supreme Leadership, you based our glory on enmity with the United States of America. “I wished we were as honest with our anti-American contentions as we were with our years of denying the truth about ourselves. I wished, parallel to teaching our people the “Death to America” slogan, that we forced upon them like oxygen in their lungs, we would have strengthened the shaky foundations of our economy. Oh dear, time has gone by and we still have remained on the high tower of chanting slogans in our torn attire. Nourizad concludes his letter to Khamenei by giving him advise on how to bring peace and stability to the nation. He tells him to recognize Iran’s standing in the international community and to obey the International declarations that Iran has signed. He tells him to bring an end to the story of Iran’s pursuit of nuclear power in an internationally acceptable manner. He advises him to put a stop to Sepah’s influence and 8involvement in the country’s politics and economy. He advises him to let the people be able to express their opinion, even if it’s an opposing opinion, and allow free speech. He advises him to engage in talks with the international community and bring back Iran’s lost honor and dignity and put an end to the international community’s sanctions placed on Iran. And lastly, he advises the unconditional release of all political prisoners and goes on using few examples of innocent people that are now incarcerated in the prisons of the Islamic Republic of Iran. Former IRANA (The official Islamic Republic of Iran news agency) reporter, Siyamak Ghaderi, in reaction to the interview of Ahmadinejad’s media advisor with Etemad newspaper, has written a letter from Evin prison. According to reports by The Green Voice of Freedom, this journalist, for the first time in his letter reveals the inhumane treatment he received predicated on the letter written by Javanfekr (Ahmadinejad’s media adviser) to the Intelligence Ministry ordering his arrest. In his letter, Ghaderi addresses the person (Javanfekr), on whose order, the Intelligence Ministry arrested him and charged him with anti-regime and anti-Supreme Leader charges. He accuses Javanfekr and his allies of power mongering and amassing wealth. This former IRNA reporter says, “Why is it that you did not speak up, but remained silent against the atrocities that occurred after June 2009 (The post 2009 presidential election events), but you only speak up when members of your inner circle were confronted with financial misconduct. Then, you called solitary confinement “illegal” and criticized the judiciary for not allowing lawyers for defendants. Ghaderi, with two decades of working experience with IRANA, reveals for the first time, the organizing and mobilization of Basij forces under the direct supervision of Javanfekr for suppression of the people protesting election results. 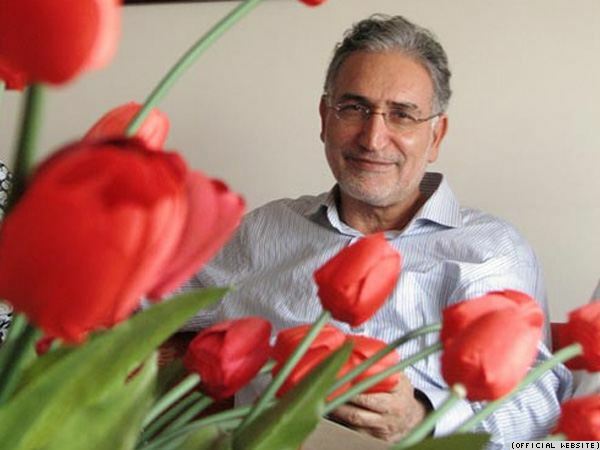 Ahmadinejad’s media adviser, Javanfekr recently gave an interview to Etemad newspaper (this newspaper has since been banned) in which he tried to portray the ninth and tenth Administrations as “just and compassionate”, with a pretence of innocence. He gave convoluted reasons why he criticized the former friends of the ninth and tenth administration, that have now become very critical of their own unworthy creation. In that interview, Javanfekr tried, as best he could, to sound as an unbiased journalist presenting documents and claiming the innocence of his inner circle and portraying the opponents as unjust. These claims, at first glance, gave the illusion that those close to the administration are superior, but under estimated his audience. The President’s media adviser, in his interview claims, “The principalists have attached themselves to the government of Ahmadinejad”. Apparently Mr. Javanfekr, like his circle of friends, seems to be under the impression that the six year rule of Ahmadinejad and his inner circle has brought positive results for the people. They seem to be very proud of their performance and say that their opponents’ actions are based on jealousy. But has not their economic performance resulted in: drying up of capital investments, the destruction of agriculture, the closure of industrial units, inflation and unbridled corruption? On the international scene: the complete isolation of Iran, tens of international sanctions, various military threats and sanctions, loss of strategic regional influence and ceding it to countries like Turkey. On the political scene: closure and stop-work of many legal institutions, even, at one point, shutting down the office of the president. In the field of culture and morality: it has been deviation from religion and moral values, increased violence in the society, increase in armed robbery and thousands of other problems. This brilliant performance leaves no room for anyone to be jealous of others or to want to attach themselves to the president, the one who is responsible for all these tragic results. He has claimed that “the wealth belongs to the people” and evidently he has concluded that “Ahmadinejad” must be the guardian of public trust! We should remind him how much of this legendary wealth belongs to the people? Is it not that the sums that were deposited into the people’s accounts are offset by the increased cost of energy. Perhaps he means the government’s election expenditures that, according to regulatory agencies, is currently being spent to send their selected candidates to the parliament. Or, perhaps the people’s share of this wealth, a mere 40,000 Tomans, compares to the trillions embezzled by the president’s supporters. All that needs to be said about group trying wield magic tricks is that, instead of giving a clear answer to a simple question asking about the 3 Trillion Toman embezzlement, you only responded that they have not been able to prove that your group performs Ramali (casting spells on people). Perhaps the most noteworthy part of media adviser’s statements, was the part where he painfully described the hardships of solitary confinement and the hardships endured by the families of the prisoners. He spoke of Malekzadeh’s sixty days in solitary confinement, his wife’s miscarriage, not being allowed lawyer visits, and the hardships of prison visits for his family. Mr. Javanfekr, if traveling back and forth to prison was difficult for Mrs. Malekzadeh and if she suffered a miscarriage, perhaps you should also consider the back and forth travels of political prisoners’ elderly parents for the last two years, in the cold and the hot weather, from near and far, once a week, with the hopes of seeing their children through a glass window, is just for fun. Then what about the heart attack death of a mother, suffered during a raid and arrest of her university student, and the death of a presidential election campaign activist’s father, who didn’t know the whereabouts of his son for three months. Are they not part of the nation that you talk about. Perhaps they have to look like you people, or Malekzadeh, or Ahmadinejad to have the support of vast wealth behind them and to pour crocodile tears for them. How amazing that you take from people’s wealth and, when you are questioned about it, you start screaming in objection. Is is not so that the majority of the people arrested post-June 2009 events were just citizens who’s only crime was participating in election protests and chanting slogans expressing their opinion? What about the citizens who had no access to vast wealth, where was your “voice of humanity” all this time? What about the wives’ and children of the political prisoners, from far provinces and cities who have to travel through rain and snow to come and visit their loved ones so they don’t loose hope? But of course, unlike those of you who are used to living with easy money, the noble children of Iran are used to living a pious life full of hardships, without ever complaining, so the likes of you can enjoy your easy life. Mr. Javanfekr, yes, you correctly stated that solitary confinement is illegal and inhumane. But does your compassion also apply to that young man who spent seven months in solitary confinement just for sending SMS text messages and Emails, and is today one of my cellmates who suffers from a psychiatric disorder? Or is it that solitary confinement is only wrong for those who embezzled large sums of money? How about for me, who was illegally incarcerated for months in the notorious Evin Wards 209 and 240? How about for that physician who spent nine months in solitary confinement and after two years is still being incarcerated under a temporary detention order? Is solitary confinement not also bad for these people? I too thought something was wrong when I was constantly being slapped left and right, in a room with a stench from a dirty toilet that was making me feel like throwing up, and was being pressured to give an on-camera false confession against the Green Movement and Kaleme news site. I too, thought something was wrong when they were pushing my head into a dirty toilet to force me to give a false confession. I also thought that my work as a journalist, and as an Iranian who loves his nation and his country, should not result in this sort of treatment. I also whispered to myself many times that people in positions of power should not be able to do just as they please. However, I do not accept these words coming from you. Because, I still can clearly recall your handwritten memo to the security department in the Islamic Republic’s news agency (IRNA), in which you requested the Intelligence Ministry to confront me as anti-regime and anti-Supreme Leadership. The same memo that your co-workers faxed to me and a copy of which is in my case file with the High Court of Administrative Justice. Dear brother, how come when you were indisputably riding the high horse of power, you didn’t consider these sort of actions illegal? You correctly stated that the maximum time a person can be detained under a temporary detention order is 48 hours. However, I know of tens of my cellmates that have been incarcerated under a temporary detention order for over two years. Your excellency never bothered to pay any attention and to add up these hours, while you were at the dignified IRNA agency or the slanderous Iran newspaper, or to see the atrocities being committed under a temporary detention order. But now that Mr. Malekzadeh and some of your friends are trapped in Mashaeisim (Mashaei is Ahmadinejad’s VP) your cries of complains are reaching the sky. Mr. Javanfekr, I, in my seventeen months of detention, and many of my cellmates nearing the end of their sentences, have yet to be able to see our lawyers. And you have the audacity to complain about your friends not being able to see their lawyers after two months of detention. You are right, people expect of you, as a journalist, to inform and to tell authorities for the people’s demands. But, do you only consider Malekzadeh and those connected to the movement that is known as the “deviation movement”, as The People? Mr. Javanfekr claims that Iran Newspaper is a private institute. Even on the assumption that this institute was not started and developed with funds provided from the vast budget of IRNA. Then, what is your excellency’s role in this private institute, that has billions in assets, that you do not allow regulatory agencies to perform their legal right of auditing this institute. Perhaps you are worried that the auditors will reveal the illegal funds used on advertising prior to the 2009 election at IRNA and Iran Newspaper. You pointed out that Mashhad’s Friday Prayers Imam called you and your coworkers at Khatoon publication Moharebs (Enemies of God). Isn’t it interesting for you and the others that now entrapped like you, by the same manner of excuses that were used to against the Ashura protesters (December 2009 mass protest on Ashura), “Insects and Deserving of Death”. The same excuse that was used to sentence many to prison, to death, and to exile to cities other than their place of residence. The same people whose speeches you headlined in your newspaper. You who claim to be a journalist, well, in the name of God, what are you waiting for? There still are many who are falsely accused of being Moharebs, that are waiting for you to do your duty as a journalist. What about them and their families, why don’t you tell their stories. You referred to the gray layer of the society that has the right to life and free speech. How come, on the heels of other devious works of yours, you are all of the sudden remembering the voters. I remind you that in the post-2009 election events, 30,000 government employees were fired and their cases are being reviewed at the High Court of Administrative Justice. They all lost their jobs for merely expressing their opposition to Ahmadinejad. As a result, the foundations of their families were shaken and some were even destroyed. Did they not have the right to life and a comfortable living? Even now there are prisoners in Evin Ward 350 that in a taxi merely criticized and expressed opposition to, government’s policies. And, are now in prison under a one year sentence, charged with anti-government propaganda. Are they not part of the same gray layer of society that are your targets? You have complained that some, by calling you part of the sedition group, have taken away your right to a comfortable living, and have made life very difficult for you and your “respectable family”, for, the families are innocent. Blessed are the men of justice, like yourself, that reported the Intelligence Ministry’s fictitious scenarios of charges even before the court ruling, and damaged the reputation of a Moslem, against Sharia Law and against rule of law. Of course, filing complaints and confronting these diversionary actions will come in the very near future. You pointed out that, “Because of enmity with Mashaei, innocent people have been imprisoned and some were incarcerated in solitary confinement for 60 days”. You then added that God is not pleased with this. You claim that the Intelligence Ministry did not heed your words. To prove that you are lying, I bring to your attention, the same handwritten memo on which you instructed the Intelligence Ministry to order three bloggers, two of whom were war veterans, to stop writing on their blogs. After I refused to stop writing on my blog, you caused me to be summoned by the Intelligence Ministry numerous times, which resulted in my arrest and incarceration. The result of you pointing me out to the Intelligence Ministry became my following sufferings: a three year prison sentence for even being present at street protests with the purpose of preparing an unbiased report on the protests, plus one million Rials in fines for calling your government illegal, corrupt and illegitimate. Do you still claim you had no influence with the Intelligence Ministry? What a shameful web of lies. Hypocritically, you run under the flag of the Leader but then you proclaim, “People recognize who is in line with Ahmadinejad and will select that person as the next president”. You are just in love with the name Ahmadinejad, not the system, not the Leader, not the country, not the nation and not even your profession, journalism. Unfortunately when other journalists were making reports from under the batons and tear gas, your Deviation Movement at IRNA was directly involved in managing and mobilizing the IRNA’s service and the Basij forces that equipped with helmets and batonس on Valiasr street (the scene of mass protests). In part of your interview with Etemad Newspaper, you even set your sight on the next presidential election. As an example you said, “Why should the nation’s money be given to the Metro that does not have to be accountable for their expenditure.” But you spent millions at IRNA and Iran Newspaper on praising an incompetent government, and you refuse to be held accountable for those expenditures. multiplication and division the comparison can be made between the three trillion that was stolen and with what was given to the people , but was taken away from them. You refer to the atmosphere of militarism in Tehran because the mayor of the city is a military man with no specialization. Yet you forget that the government you support, is busy turning the top grade highways into second grade streets in Tehran. Two years after the election, you and your friends have not been able to spend a night without the fear of a protest arising. Therefore, you have put to work your paid agents in all facets of people’s lives. You accused Tehran’s mayor of slandering one the Ministers. You accused him of consumption of alcohol and you said he deserves to be punished by Sharia Law. All the while, you manage to forget how many false accusations, and how much slandering of our nation’s children, you put in your paper, as news. This is the report card of you, and the government you support: You have put in chains the elites, our best are leaving the country, capable executives are no longer working, and you have closed the critical governmental entities and regulatory agencies. With such a report card, you still claim success. Just tell us, in the ninth and tenth Administration, which non-military executive is at the helm of country’s affairs? Ahmadinejad leads the most militaristic state post the revolution. One of the claims you made at the beginning of your interview, was that Mir Hossein Mousavi does not have popularity. This is one of those claims that really shows how divorced from reality you and your friends are. If you dare, just let Mousavi speak to the people for five minutes, so he can show you how he can untangle the web of deceits that you and your people have woven. Why are you afraid of letting freedom seeking people such as Mousavi and Karoubi speak to the same people that you claim do not support them? If you truly believe your claim of Mousavi’s unpopularity, why are you so frightened of them having contact with the people and are frightened to free them? To prove their popularity, it is enough to say that, even two years after the election, the arrests and beatings of thousands of their freedom and democracy seeking supporters still continue; supporters that have become a nightmare for you and your power hungry friends. I find it necessary to distinguish between people such as your excellency and the journalists, writers, translators and workers at IRNA and Iran Newspaper. They, like us, are prisoners of the distorted illusions of people who do not know God, such as yourself and your friends. No Mr. Javanfekr, you are no journalist. Otherwise, you would have not been part of a devious and dubious Front. Member of the Participation Front, journalist Mehdi Mahmoudian was transferred back to Rejaei Shahr prison last night from Shahid Rejaei Hospital, where he had been hospitalized since October 9, 2011. According to medical reports, Mahmoudian suffered numerous heart attacks and suffered from fluctuating blood pressure during his incarceration. After much delay, he was finally taken to Shahid Rejaei hospital in Tehran on October 9, 2011 for treatment. Doctors were able to treat his fluctuating blood pressure successfully, however, they warn that chances of heart attacks occurring under the stressful conditions in prison are great. 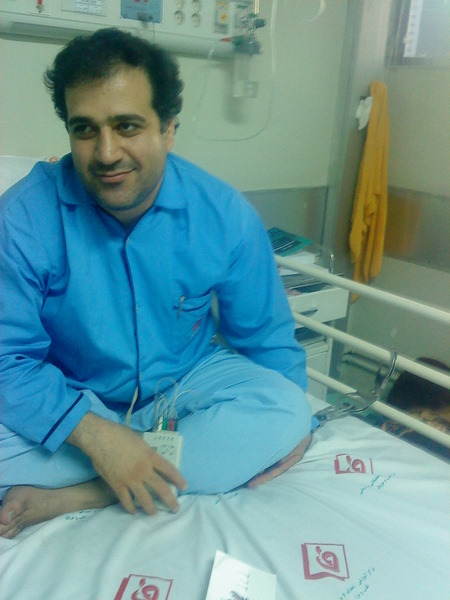 During his hospital stay, Mahmoudian also successfully went under surgery on his intestines to correct complications he suffered during his hunger strikes. Upon his transfer back to Rejaei Shahr prison, Mahmoudian was taken to quarantine section. There is no further information on his status since. Due to poor health condition and a long hospitalization of this political prisoner and human rights activist, a request for medical furlough has been submitted to the Prosecution office, to which no reply has been received as of yet. 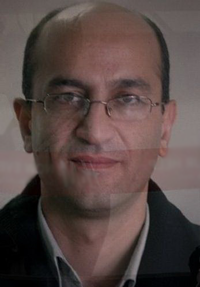 Journalist and human rights activist, Mehdi Mahmoudian was arrested and taken to Evin prison on August 17, 2009 during the events and protests to the rigged 2009 presidential election. Mahmoudian had a significant role in revealing the atrocities that occurred in Kahrizak prison, was transferred from Evin prison to Rejaei Shahr prison in April of 2010. He was later tried and convicted on charges of collusion with intent to act against the national security and was given a 5 year prison sentence. As though tonight was the last farewell…….. Following is a translation of an interview conducted by Masih Allinejad with Ardeshir Arkan, father of Arash Arkan who was arrested during the street protest of November 4, 2009. Ardeshir Arkan explains that his son Arash Arkan, was arrested during the street protest of November 4, 2009. The arrest happened when Arash saw a teenager being attacked by regime forces for video taping the protest and tried to help the teen. As a result, he was involved in a scuffle with one of the security forces and was arrested. 26 years old Arash Arkan was among the political prisoners, that even after his arrest, his name was not published in the media. This young man was suffering from kidney disease and when, during his incarceration, his illness became worse, was given few days of medical furlough but according to his family the short furlough was not long enough for his treatment and he was returned to prison before completing the treatment. According to his family, returning him to prison before his medical treatment was finished, and lack of attention by prison authorities to Arash’s dire health condition, caused him to die only three days after he was taken to Bahiyehallah hospital. Arash Arkan died in the hospital on February 29, 2010 after enduring a year and a half of imprisonment. There have been many reports published about the sad fate and death of prisoners of conscience in the Islamic Republic’s prisons. According to the victim’s families, their lawyers and the public’s opinion, none of these cases have been resolved. As witnessed by his cell mates, Hoda Saber was the last political prisoner who died during incarceration from not having receiving proper medical treatment for beatings by prison personnel. In his first report, Dr. Ahmed Shaheed the UN Special Rapporteur for Human Rights in Iran also mentioned Hoda Saber’s name. There are number of other prisoners that lost their lives during incarceration due to lack of proper medical treatment. Ardeshir Akan, confirming that his son was arrested during the street protests of November 4, 2009, says, “We did our best to get Arash out of prison, whatever it took, like not publicizing his case, and pursuing his freedom through a lawyer, but we were not successful in obtaining his release and he died in prison on February 29, 2010. In reply to the question that, considering his son’s bad kidney disease, did they try to obtain treatment for him outside of prison, he said, “Two weeks before my son died he was granted medical furlough which was very short and not enough time for proper treatment. During this time, he was in low spirits, because as he had hoped that he would be released soon, but during his short furlough he was informed of his 10 months prison sentence. After they returned him to prison, they didn’t provide him with proper medical treatment and his illness became worse. Only three days prior to his death,they transferred him to a hospital , but it was already too late. In reply to the question that, was he able to see him during his son’s stay at the hospital , he said, “We were only able to see him on his last day in the hospital. We found out about him being in the hospital but they would not allow us to see him. We were only able to see him on the last day using some connections we had in the hospital and with the help of his lawyer. About the day Arash was arrested, he said, “I was not personally there the day he was arrested, but I have heard that a teenager was taking pictures of the people who were arrested. As the security forces started chasing the teen, Arash chased the security forces and got into an scuffle with one of them. Regarding the follow up of this case with the Judiciary, Mr. Arkan said, “I have no faith in the judicial system in Iran, and I believe that they will not do anything for us even if the murderer of my son is identified. Even if they take into account the negligence that occurred in Arash’s case, I still believe that justice won’t be done. Arash’s father, in reply to the question whether Arash, in his last days in prison, made any notable statements, said, “My son was not regretful at all that he had tried to help a teenager. In fact he was happy about it, and I think he is still happy about it. Mr. Arkan says that he sees all those who lost their lives in the events of the post-presidential election as his own children. They were all full of dignity and decency, and his son was one of them, a noble and gentle soul. 26 year old Arash Arkan, with a Masters degree in Industrial Management from Azad University. Arash and number of his friends had participated in the mass street protests of November 4, 2009. One of his close friends who witnessed his arrest, said, “November 4th was one of the mass street protests that we participated in. When we reached Villa street, we saw a pre-fabricated building that was being used for holding the people they arrested. The building had clear walls and you could see through it. We then noticed a 16-17 year old boy taking pictures of the area. Soon we heard voices saying “Arrest him, arrest him”. People started running, and Arash and I did the same. Three people wearing law enforcement vests were chasing the boy, and Arash was chasing them. Arash, in trying to stop the agent from chasing the boy, tripped the guy’s leg. Both he and the agent fell down. They seemed to have left the boy alone as he ran away, because they now had another victim right in front of them. Three agents were just beating up Arash. They were beating him hard, like they had just found a murderer. They were beating him hard and with a lot of anger. One of the agents tore the necklace off Arash’shis neck and started beating his head and face with it while screaming. This eyewitness said, “Arash was taken to prison on that same day that he was arrested. In the beginning he was banned from visits. He was only allowed to contact his family a few times, after months of being in prison. In regards to Arash’s trial and conviction he said, “He was tried on charges of interfering with the work of police and on charges of beating a security agent. They said the people who tried to arrest that teenaged boy who was taking pictures were considered law enforcement agents because they were wearing law enforcement vests. All the time that Arash was innocently in prison, all of our efforts and his lawyer’s efforts were to prove that he was not a political activist. We later realized what mistake we made. They convicted and sentenced Arash to nine months in prison, while he had already been in prison for a year. In reply to the question of whether there were any bruises or signs of being beaten on Arash’s body, he said, “There were bruises and signs of being beaten on his back and his legs, but his spirits were so low that he didn’t want to talk about it. This witness explains about Arash’s medical problems, he said, “Arash had lost one of his kidneys at childhood due to an infection, and naturally because of his condition he required special care in prison. The prison physicians had said, because of his condition and because he only had one kidney, they were not able to provide him with proper care in prison. It is for sure that if Arash had received proper medical care in prison this tragedy would have not happened. Because Arash did not suffer from an incurable illness, he only needed proper care to manage his condition. But, this care was not provided to him…..may be we should have done more, but we didn’t. We kept our silence so he would not encounter more problems. We had hoped that the judge would give him a less than nine months in prison so fines could have been paid in lieu of prison time. In response to the question that whether medical furlough was requested, he said, “About two to three weeks after his return to prison, his health deteriorated and became worse. They gave him few days of furlough, but it wasn’t long enough for his treatment and they returned him to prison while he was still in poor health. Arash’s friend told us about visiting him in the hospital, “I only saw him for a few minutes, he was skin and bones, his condition was unbelievable. We realized after one year of his prison stay what had happened to him. The last ten days of his life was really unbelievable. There was really nothing left of Arash. At the conclusion of the interview he said, “There are many untold things that remain. What was not told is the pain that we suffered and still suffer and carry with us. The times and moments that we wish for their return. What remains untold are the hopes and aspirations of Arash that were buried with him. The hopes that were so cruelly taken from us without us being able to do anything about them. Saideh Islami, wife of Saeid Naeimi, member of Policy Council of Alumni Association of Iran (Advar-e-Tahkime Vahdat) in an interview with Advar news gave the latest status of her husband. In her interview with Advar news, she objected strongly to the manner that her husband’s case was handled by the Judiciary, expressing concern over the physical and psychological torture that her husband suffered during his detention. She also spoke of new charges that her husband was arraigned on. Our last visit took place on Saturday. During this visit he continued to be in high spirits and remains strong and solid. However, he expressed concerns about recent developments in his case. According to my husband, last week, without prior notice, they suddenly took him for interrogation that lasted for eight hours. Unlike previous interrogations, this time the interrogation session was conducted by the Prosecutor in the case. Was he notified of any new charges during this interrogation session? Unfortunately yes. They informed him of espionage charges, charges that are completely unfounded and my husband strongly objected to them. During the interrogation, the Prosecutor in the case, told my husband that, “Actually, your charge is assistance in spying”. He did not receive any answer. Instead, the Prosecutor proceeded to intimidate and threaten. They even threatened to arrest his family. What is Mr. Naimi’s comments about this alleged new charge? He strongly denies any allegations of this sort and thinks all of this stems from him not cooperating with his previous interrogators. Furthermore, his previous charges were all based on untrue evidence. As in example, one of his charges was that he was the liaison between the Free Citizens campaign headquarters and Tabriz and Uromieh universities. The Free Citizens campaign was formed prior to the presidential election and It is very natural that it should have a relationship with universities. This also was true for the campaigns of various other candidates. Has a trial date been set for him? Yes, his trial was to taken place shortly. However, due to the new unfounded charges, it has been delayed until December 29th, in order for my husband to prepare his defense. How has the condition of his detention been so far? Unfortunately, at the beginning of his detention, they transferred him to Tabriz prison without giving us any reason for doing so. After his interrogations were complete, they transferred him to the drug traffickers ward, which has caused him much stress. Also, while they arrested him, I myself witnessed how he was beaten by the arresting agents. Furthermore, according to my husband, during this time he has been subjected to physical and psychological torture many times. Have you received an answer to your request for setting bail? The Prosecutor in the case, during his interrogation, told my husband that they implicitly deny his bail request, his request for transfer to a prison located in the city of his residence and all his other requests until his trial is held. Five days after his arrest, in a phone call to his family, Green Movement supporter, singer Arya Aramnejad informed his family he is doing fine but he is banned from visits. Arya Aramnejad’s wife, Adeleh Ziyaei, on her Facebook page wrote that she spoke with him in a short phone conversation today (Sunday November 13) and he said he is doing fine, he is incarcerated in solitary confinement in Intelligence Ministry’s detention center in Sari (N.Iran), and is banned from visits. Arya Aramnejad told his wife that he is being interrogated about the songs that he has written but he was unable to give his wife any further information about his case. According to his wife, he seemed to be fine, except he is not allowed to receive any books or clothing from outside. Mrs. Aryanejad stressed, “What caused the worry and eruption of anger, and hurt me the most, was my frequent trips to the Judiciary office, followed by inconclusive and contradictory reports from the trusted ,and not so trusted people. According to Green Movement activists in Babol, this popular Green Movement supporter was arrested in a raid of his home by five Intelligence Ministry’s agents. This occurred on the day when he had just returned from Court in the city of Sari, where he had gone to get information about the ruling of the Appeals Court in his case. It has been reported that his arrest was violent, he was beaten and handcuffed in his home. The agents also performed a search of his home, confiscating the computer, his personal notes, music writings and personal documents. Arya Aramnejad, a composer and song writer is a Green Movement supporter who released a famous song called “Ali rise up” after the events of Ashura (December 2009). Not long after the release of this song, and when the song became very popular, he was arrested by Intelligence Ministry’s agents on February 15, 2010 and was charged with anti-national security activities. He was released on bail after spending 50 days in solitary confienemnt in the city of Babol’s Matikala prison and the city of Sari’s Intelligence Ministry’s detention centers. He was tried in Sari’s Revolutionary Court, was convicted and sentenced to nine months in prison. Journalist Siyamak Ghaderi has been incarcerated in Evin prison over a year and a half without being allowed use of furlough for even a day. publishing and spreading lies, and disturbing the public. One of Ghaderi’s main charges was writing on his blog “Irnaye ma” (our IRNA), where he criticized the officials at IRNA news agency (the official news agency). He also wrote about the Greene Movement and it’s leaders. Ghaderi’s wife Farzaneh Mirvand in an interview with Kalameh speaks about his latest status, her problems as a political prisoner’s wife and their only child. She stresses that her husband was tortured in Ward 209 of Evin but authorities have paid no attention to their complaints about the tortures. Even thinking about the days that my husband was in Ward 209 is very difficult for me. He was in solitary confinement for 34 days under harsh interrogations, was blindfolded, beaten up with a baton and threatened in order to force him to give a false confession. At one of his interrogation sessions, an interrogator slapped him on his face so hard that he and the chair he was sitting in hit the ground. My husband is still suffering from the injury to his neck that he suffered during that fall. Have you filed a complaint with the judicial authorities about this incident? Yes, for these pressures and other violations. I have gone to every place I could and have told the authorities about them, but they just laughed at me. Even during his trial, my husband told the judge about his tortures, but he, without paying any attention to my husband’s remarks, issued a verdict based on the false confessions taken from my husband . I even wrote to the Islamic Human Rights Council, telling them about my husband’s tortures, but the only reply I received from them was that they had received the letter and my request was logged in. My husband was in Ward 209 of Evin (high security) for nine months and the interrogators were telling him that if he does not give them a false confession they won’t transfer him to public Ward 350. Like most of the political prisoners and the detained journalists, Mr. Ghaderi’s main charge was propaganda against the regime, was this the reason they fired him from IRNA? Yes, they fired him from his job of 18 years, while his case was still in court and not yet decided. However, given the fact that the plaintiff in this case is Mr. Javanfekr (head of IRANA), one of Ahmadinejad’s senior advisors, their action was not very surprising. Yes, about two weeks ago the Appeals Court upheld his four year prison sentence and my husband was informed of the verdict. He immediately requested a hearing, however we already know what the results will be. Mr. Ghaderi has been incarcerated for a year and a half without being allowed the use of furlough, has he, like other political prisoners have been denied furlough for no reason at all? assembly and collusion, plus one year for propaganda and publishing of lies goes back to the animosity and the differing view points between my husband and Mr. Dowlatabadi (the Public Prosecutor) from the time they worked together. How else can you explain this that when, eight months ago, I told Mr. Dowlatabadi my husband’s condition without mentioning his name, his reply was that my husband has the right to use of a furlough and he told the soldier present there to provide me with the furlough request form. However, when I started filling out the form, he asked my husband’s name, and as soon as he heard “Siyamak Ghaderi” he became outraged and exclaimed “No, no, don’t write it, it’s too early for him to be released”. Particularly, when I remember that the Prosecutor had requested the heavy sentence of twenty years banned from journalism profession, twenty years banned from leaving the country and being exiled to Iranshahr for his prison term for my husband, this further strengthened the thought that the Prosecutor’s actions are based on a personal grudge with my husband. So Mr. Ghaderi, as part of his sentence has been banned from his profession and is to be exiled for his prison term? No, fortunately despite the Prosecutor’s request none of these were included in my husband’s verdict. 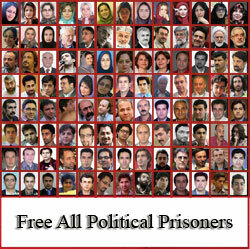 As a political prisoner’s wife, what is your own condition and what kind of problems do you encounter now? I can only tell you that it is very hard. One of the smallest and least important problems that I face now is financial hardship. I struggle with this situation and sometimes it becomes so difficult that I can only pray to God to give me strength to endure these problems. Especially that my son misses his father very much. My son Ali is very patient and he is an introvert, but recently, especially since school started in September and he can see his father less, he has been acting a bit strange. One day he said something that really brought pain to my heart. He said, “I am starting to forget what my father looks like, lately when I have a dream about him, I don’t see his face anymore”. After this I decided to put a picture of his father on the refrigerator so he can see his face all the time. After Ali heard that his father has requested furlough, he performed prayers every night for it to be approved. He was very optimistic that this would happen. He said that, even if his father is granted just one day of furlough, he has many plans for that day. For days, I didn’t tell him that the furlough request had been denied. When he heard the news of the denial, he locked himself in his room for hours. Overall it’s not a good situation, he is a teenager and has his own specific needs according to his age. I am maybe a very good mother, but I can not replace the role of his father. We have heard that the authorities have asked Mr. Ghaderi to write a letter requesting pardon so he can be released ahead of his full terms sentence, but he has denied their request. Is this so, and if so why? Yes, when they informed my husband of his sentence they asked him to write a letter requesting pardon, but my husband refused saying he has not committed any crime to request a pardon. Apart from this, in our religion, forgiveness is an admirable and beautiful act, but in which one of the Islamic texts does it mention that a written request required for being forgiven? Unless the act of forgiveness is for propaganda purpose only and not an act for pleasing God. As a political prisoner’s wife you must have suffered a lot of hardships, however even during times of hardships there can be good times also, can you tell us your best memory? I can not recall a specific memory, but I, like you, believe that in every hardship there also is a blessing. I could say that, perhaps all this has caused intellectual development and a change in my point of view, that is the best thing that has happened to me during this time. What do you personally request from the Judicial authorities? I have no request for them, our lives are being steered by a much greater power. HRANA: Security agents arrested thirty one young men and women holding a birthday party at a traditional coffee shop in Tabriz. According to the Human Rights Activists News Agency, on Sunday October 30, at 3 PM, police raided a birthday party being held at a coffee shop at Azarbaijan intersection in Tabriz, arresting 16 girls and 15 boys beating them during the arrest. The arrested people were first taken to police station number 13 in Tabriz and then transferred to the police security station at Saeb street. The transfer took place at 8:00 PM while those arrested were blindfolded. They were all kept outside in the cold & snowy weather of Tabriz for two hours while they were beaten and attacked again. Most these people suffered numbness in their hands and feet due to the cold weather outside. All thirty one people were released on bail later after being video taped.